Project Runway began as a way to combine a love for fashion with a desire to give back to others. Now, 11 years later, the club has grown to be one of the largest clubs on Palos Verdes High School’s campus, with their annual fashion show being the highlight of the year for students, teachers and community members. Nicole, Daniella and Liese, Project Runway’s Presidents, led this year’s show, along with other fundraising efforts throughout the school year with local establishments. This year, Wish Ambassador, Hilary, 21, joined Project Runway to share her story of how Make-A-Wish came into her life years ago and granted her wish to be a model! Hilary had the opportunity to model for designer icons like BCBGMAXAZRIA and Gregorio Sanchez. She explained that her wish gave her confidence she hasn’t felt before, which inspired Hilary to want to share her story to encourage others to help make more wishes come true. Hilary is now an intern at Make-A-Wish as well as a Wish Granter, doing her part to help other Wish Kids feel the strength and joy she felt. I’m honored to announce that Project Runway has collectively raised over $20,000 during the 2017-2018 school year! 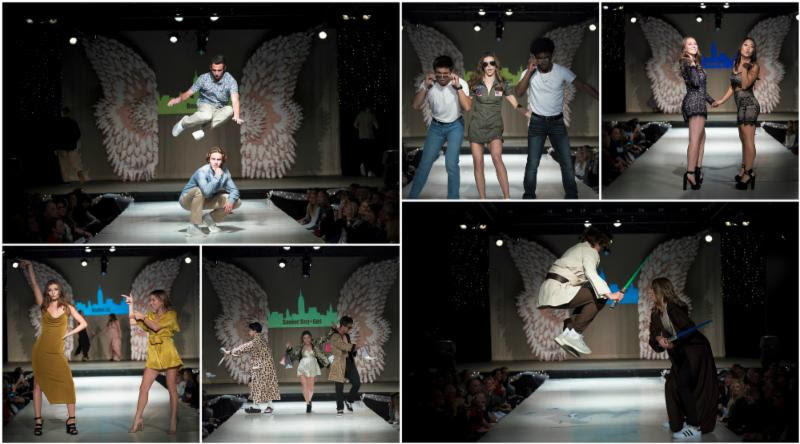 Congrats to Project Runway and the club’s advisor, Marissa, for their beautiful “City of Angels” show!